I tried taking of the friction extender but it was unstable so it kind of needs it. Limbs are too long. I know you were going for a 2015 feel with the sword being yellow, but you should remove it for orange or make some of her body yellow. 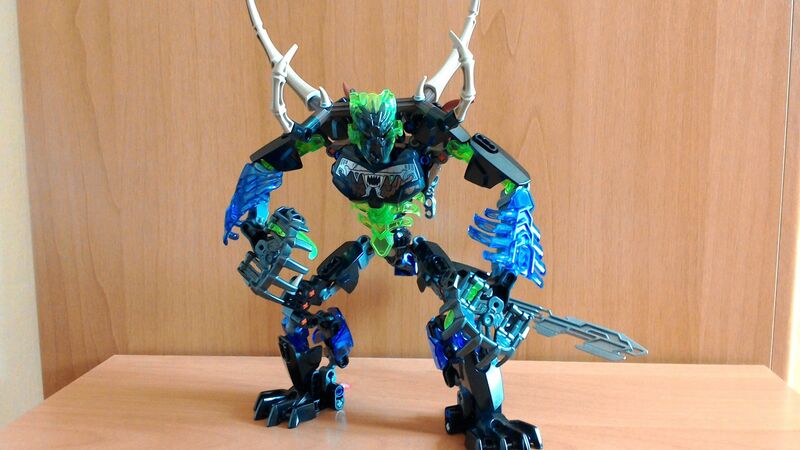 Also I know you focused more on Gali, but that Ketar somehow looks worse than the actual set. 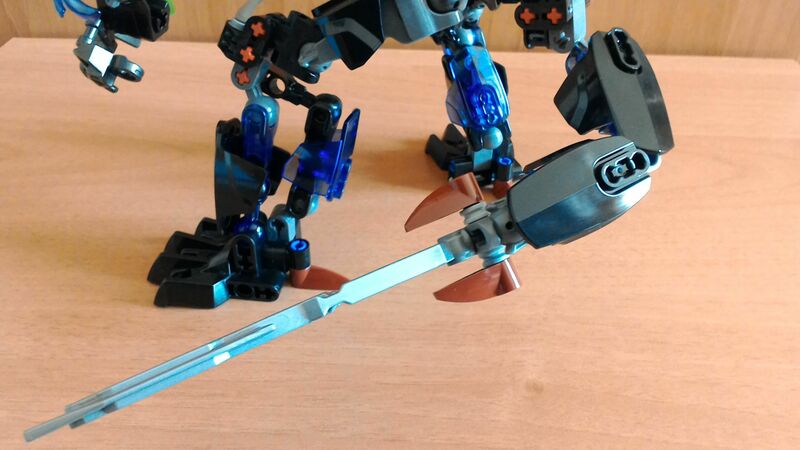 The function looks better, but the "claws" look off and that tail looks super unstable and even more awkward than the OG Ketar. What did you add? 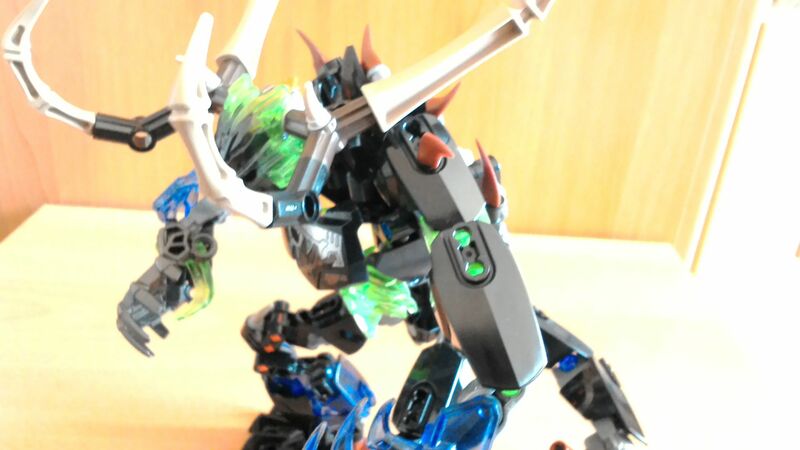 Just the black horn? But, but, the horn makes the set way better. 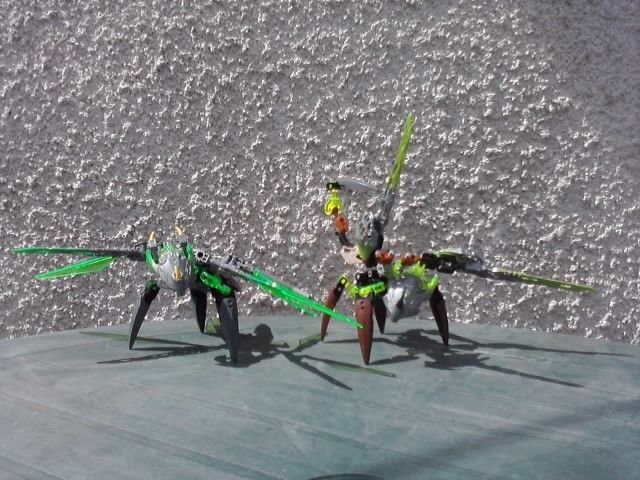 I know that this isn't really a 2016 set, but I wanted to share my mods to the Shadow Spawn. 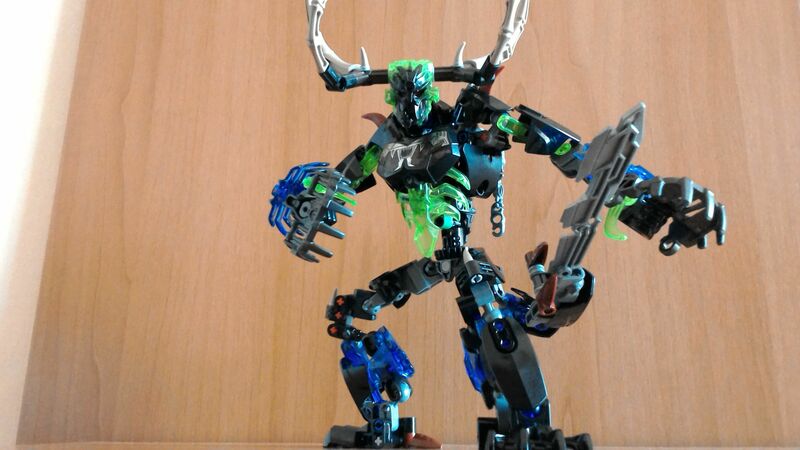 As you may know, there are now official instructions for this (kind of obscure) creature, known as the Shadow Spawn, that Umarak summons in "trials of the Toa", the second full episode of Journey to One, which can be made using parts from Umarak and Onua. 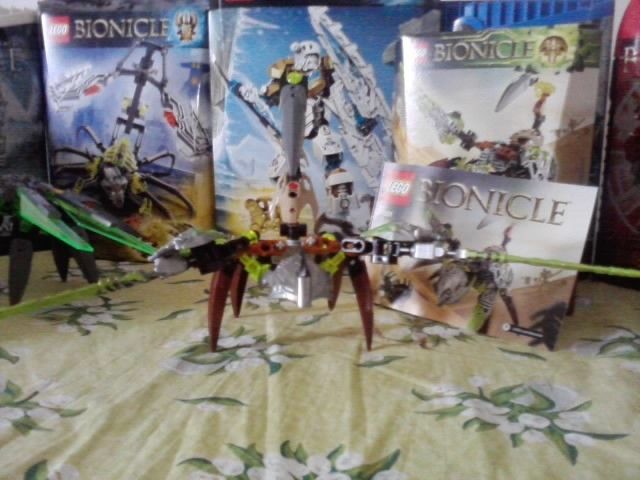 Even though I found the build to be amazing, I was a bit bothered by some of the design choices, specifically the awkwardly flat shoulder region, the "hand" at the end of the tail, and the shell choice for the upper arm, which doesn't cover it very well. Since there are a ton of parts left from the combiner, I decided to use some of them to try to fix those problems, and here's the result! 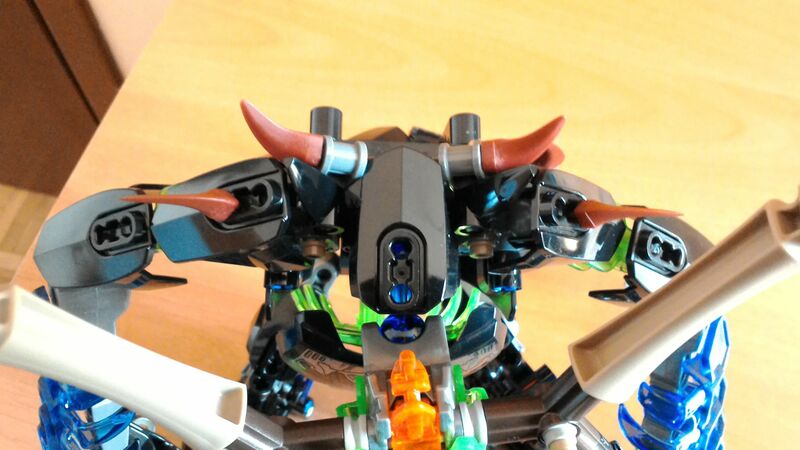 First of all, I added the shoulder contraption with all the spikes you see in the picture above (it just plugs into some pin holes on the front). 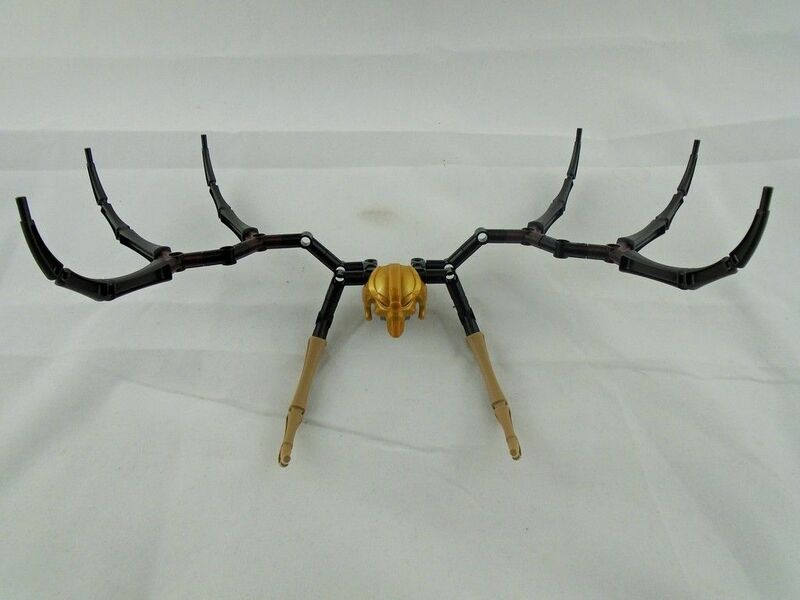 The shells are on ball joints, so they can move around for some nice poses, and the front is covered by black bohrok eyes. 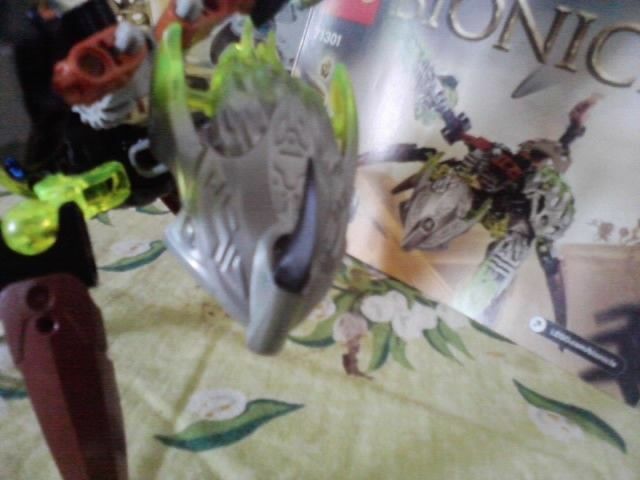 I also replaced the shell on the back with a unity piece (at first I wanted to make the Shadow Spawn able to unite with a creature, but it's impossible), which covers the back just as nicely as a shell, but looks nicer and sets in place better the contraption that attaches the body shell. With the long shell removed, I could fill better the upper arms too. 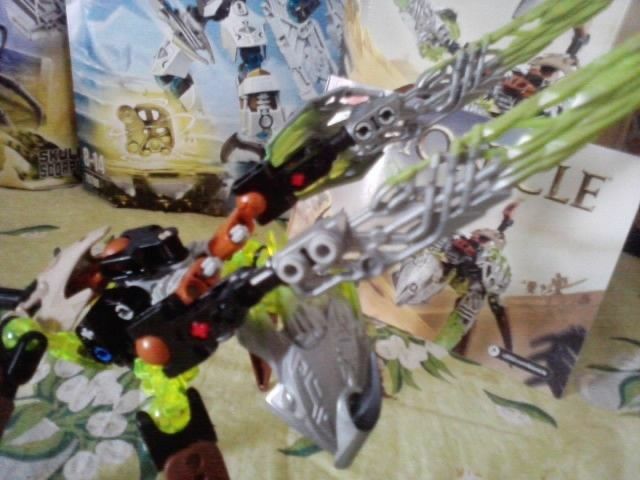 Finally, I replaced the hand piece on the tail with a normal socket, and used the hands on the actual hands. Oh yeah, I also added some spikes on the knees, because why not. Now I personally love my Shadow Spawn, but what do you think? I like it! 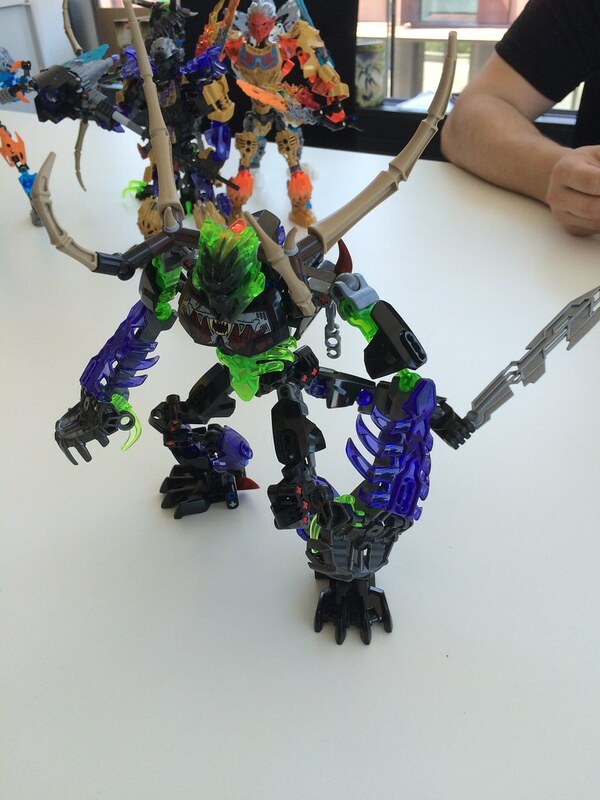 It reminds me of one of the Beast sets, which is a good thing. It fits in concept. Have you tried to build it? I strongly recommend doing so, it's huge! More than I expected. Eh... Dorek just saw the model and made the instructions based on that. But that is likely as official as it can get unless he shows photos of the actual model he based the instructions on. 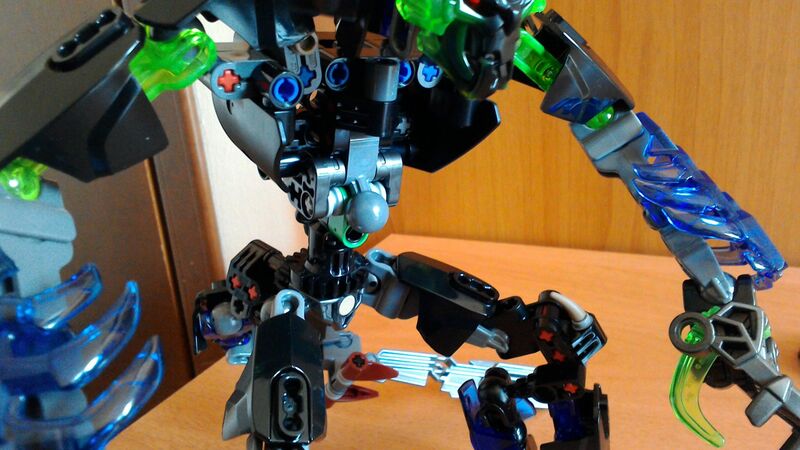 There are pictures of the original model, I also posted one here (the first picture). 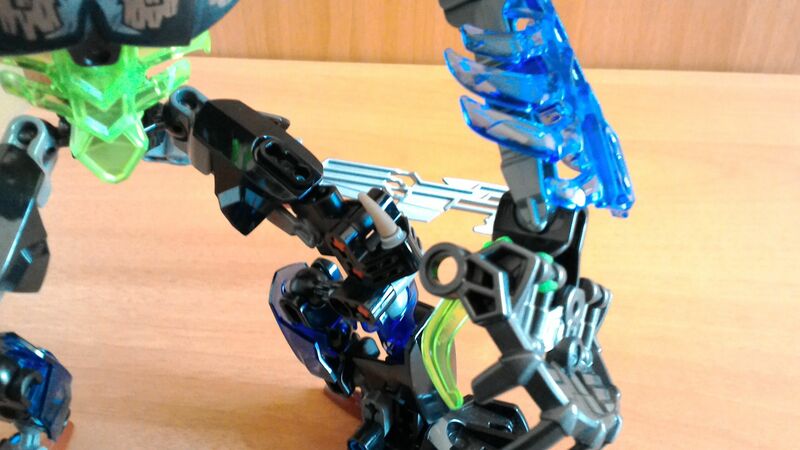 Oh, also, @Rockho, I had this awesome pose too but for some reason I could not upload it to the gallery. Wouldn't it be awesome of UTD had these bad boys? That would be a lot better. I think those horns would be better, as long as the bottom two were gold. as a result you can see the whole thing bending. 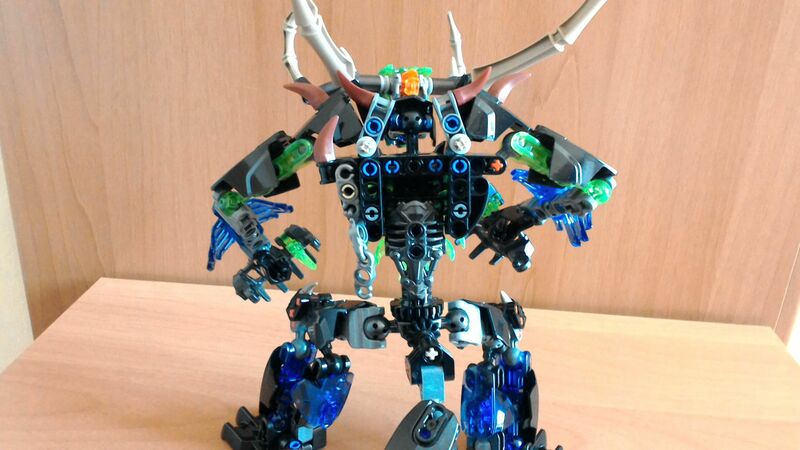 These looks more like a parody of Umarak's antlers, and they do not make him look more threatning nor "awesome", instead they make him really stupid looking.